Happy Saints: Shipping Now! Happy Saints A to Z Cards! PROMOTIONAL COMBO PRICING! Shipping Now! Happy Saints A to Z Cards! PROMOTIONAL COMBO PRICING! If you have missed the crowdfunding for Happy Saints A to Z Cards earlier, you can order them now! 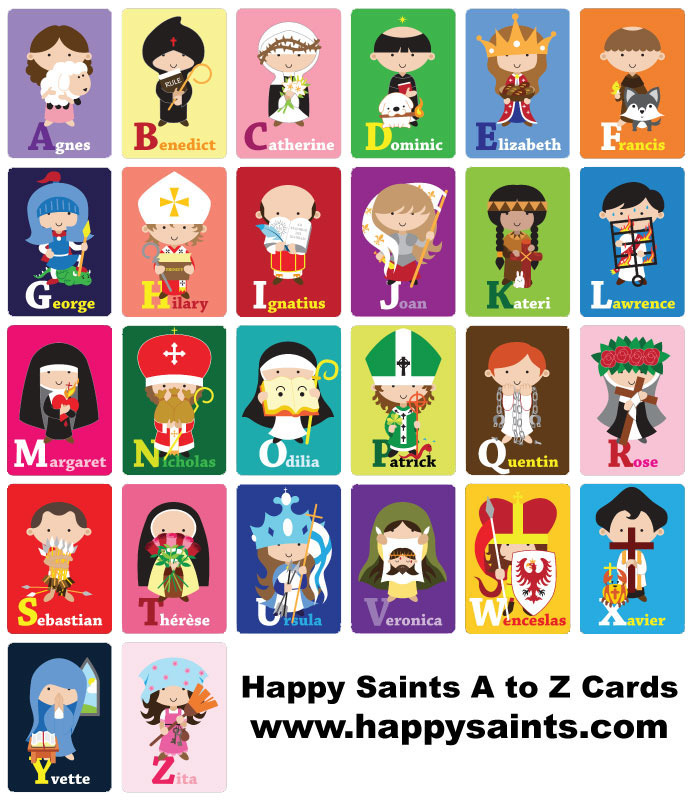 Happy Saints A to Z Cards is a set of alphabet cards that features cute artworks of 26 beloved patron saints from A to Z, colorfully illustrated in full length and accompanied by short, simple biographies. Available in printed and digital versions, there is currently a promotional combo pricing if you purchase both versions.